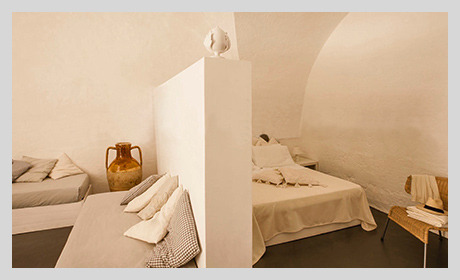 Characterized by all white ceramics all coming from Grottaglie. 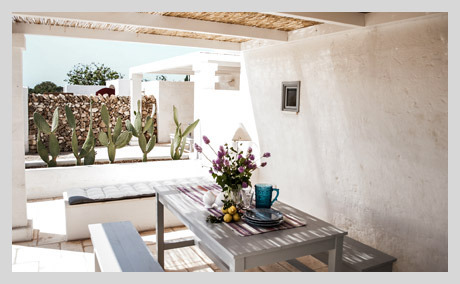 The ceramics are handmade and all come from the nearby town of Grottaglie. 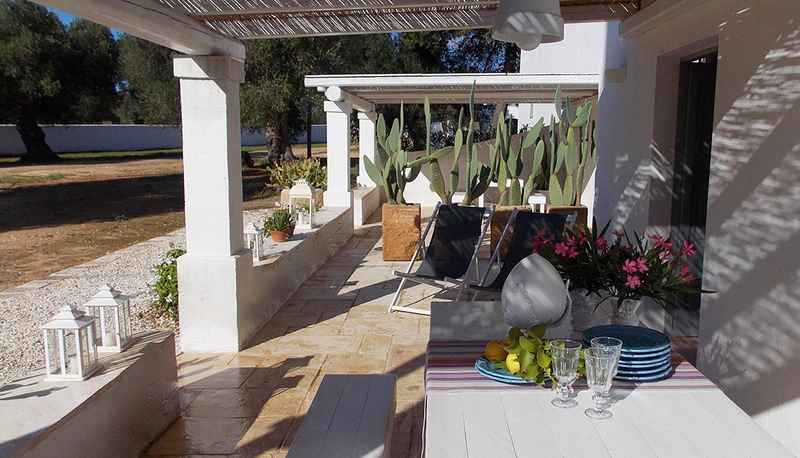 Masseria Fellicchie is located in the countryside of Manduria, immersed in a natural oasis. 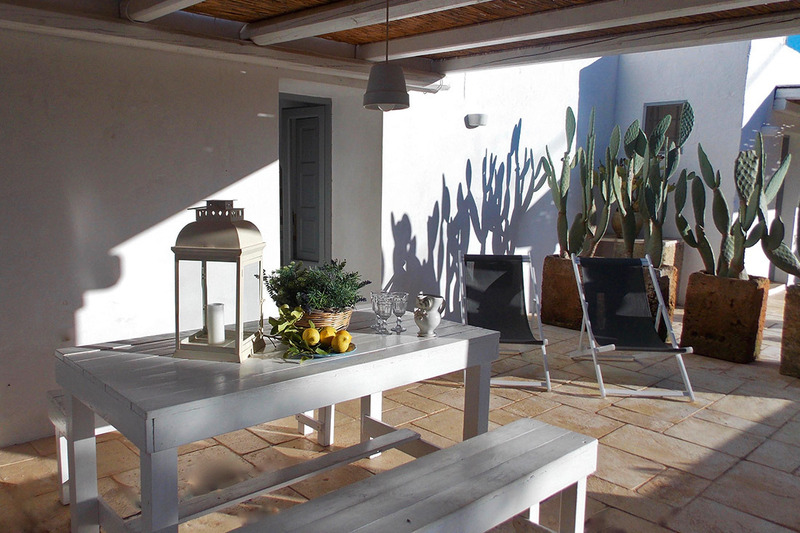 The property of the Masseria covers about 400 hectares facing the white beach of Punta Prosciutto, one of the most beautiful beaches in Salento. 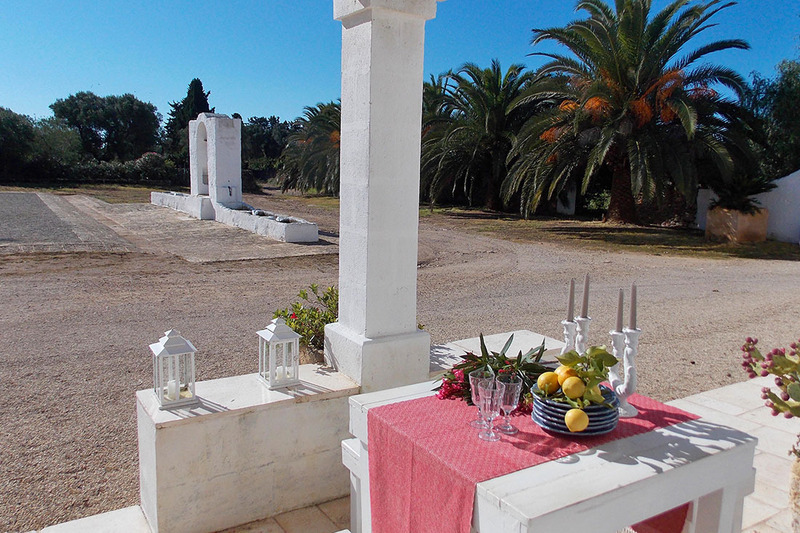 The landscape around is characterized by centuries-old olive groves are of rare beauty and Mediterranean maquis and waling inside the property you can admire olive trees of exceptional size including the monumental tree of the Baron, which is considered one of the largest olive trees in Puglia. 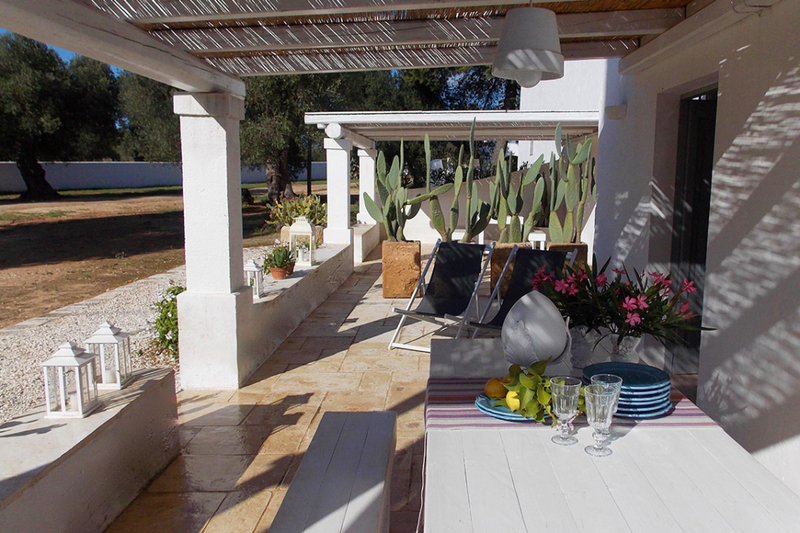 The apartment is located in the older part of the Masseria. 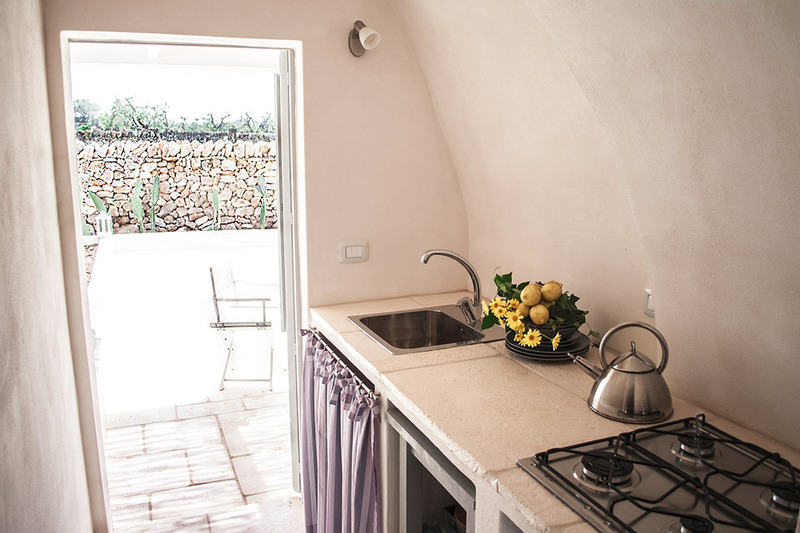 The apartment dates back to 1600. In this place lived the shepherd of the flock of sheep. 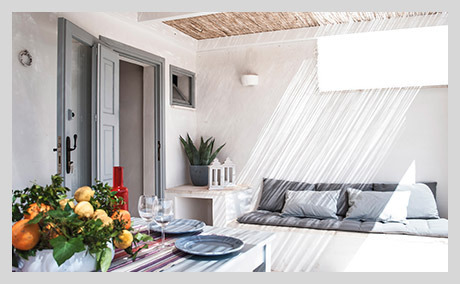 After a careful renovation of the house, a spacious apartment with four beds has been created, with a comfortable bathroom with a large walk-in shower.